Website debut and book release date! Welcome to my website. 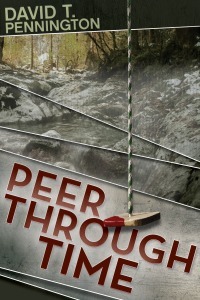 I’m thrilled to announce my debut novel, Peer Through Time, will be available as both a paperback and Kindle ebook starting January 20, 2015. Read about it and pre-order here. I’m compiling a mailing list for my monthly newsletter and giveaways. You may sign up here. Coming soon, a preview of Peer Through Time— in video form. I’ll be recording a video of myself reading the novel’s opening scene. Stay tuned! If you see any errors on this website (typos, incorrect links, etc. ), please contact me here.